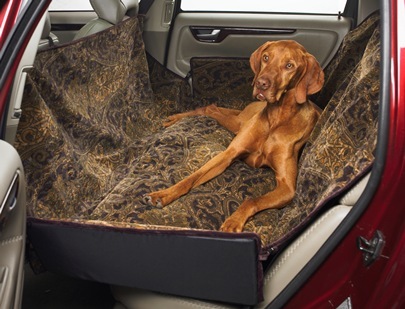 Complete Protection for Car Seats from Spills, Dirt and Pet Hair! Luxurious microvelvet fabrics with rugged nylon backing. Tufted polyester filled bottom cushion provides superior comfort. Front and back flaps with adjustable nylon straps and clips attach securely to front and back seat headrests. Rigid foam filled sides contain dirt and pet hair and be unclipped to allow easy entry for your pet. Slits in bottom seat cushion allow use with seat belt.